You may have a Dutch passport, but when are you really Dutch? At least one of your passports may prove that you are Dutch. But who actually gets to be seen and accepted as a Dutch person by society at large? Traci White has been finding out. The ‘average Dutch person’ seems to be the only voter that Dutch political parties have cared about during elections this year and in 2017, even though no one knows who this imaginary man or woman is. One party’s ‘gewone Nederlander’ is another party’s ‘boze burger’. During a 2017 lecture, Sybrand Buma of CDA said that the so-called ‘boze burger‘ (fed up citizen) is just a normal Dutch person who feels he or she has hit a wall. ‘His job has been given to an immigrant or an Eastern European person, his child’s education has become too theoretical and the coarsening of society is projected into his home on television.’Buma said. In a 2018 municipal elections campaign video, Geert Wilders, the leader of the Islamophobic PVV, avowed that Islam is antithetical to Dutch identity, implying that a person cannot be Muslim and Dutch. Even left wing darling Jesse Klaver of GroenLinks invoked the ‘average voter‘, describing him or her as someone who ‘does not complain and doesn’t have a big mouth, but they keep this country going’. After all these invocations, Dutch newspaper NRC tried to nail down who this elusive average Dutch person is. Statistically speaking, he or she is a 42-year-old who lives in Hardenberg, earns €42,000 a year, has a cat, likes beer, goes to Germany on vacation, is not religious, works full time and is unmarried. And loves cycling, obviously. So that’s the average, but who is Dutch in the first place? Better yet, who gets to be seen as Dutch? As of 2015, there were 1.3 million dual citizens in the Netherlands, nearly 8 percent of the entire Dutch population (the CBS statistics tracked the number of Turkish and Moroccan people who became dual citizens separately, and all other national origins were combined). 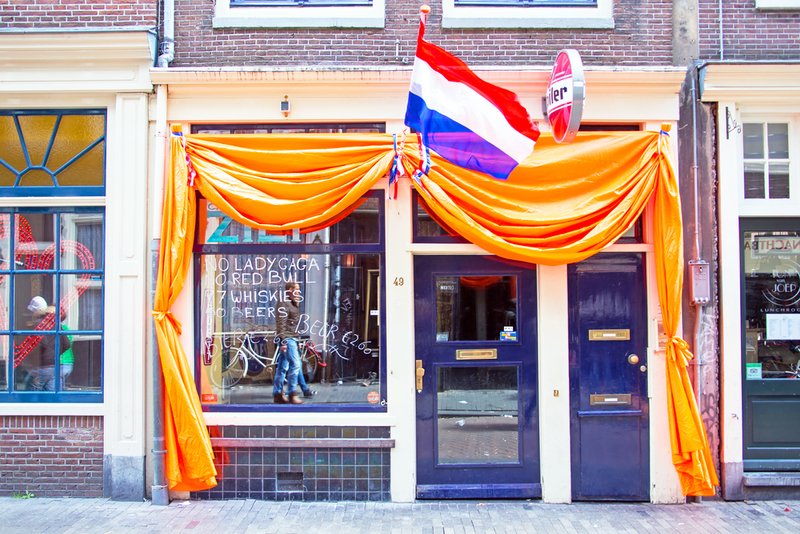 Legal changes made it more difficult to qualify for Dutch citizenship starting in 2003: with a few exceptions, in addition to taking a citizenship test, immigrants have to live in the Netherlands uninterrupted for five years. The number of naturalised citizens was already in decline, but it dropped dramatically in 2004, and the numbers remain far lower than their peak period in the ‘90s. It takes three generations to be seen as Dutch, legally speaking. In 2017, there were four million people with a migrant background, which is 23.5% of the total Dutch population of 17 million. That breaks down into 2.2 million first generation immigrants (born abroad) and 1.8 million second generation immigrants (born in The Netherlands). The most famous first generation immigrant is Queen Maxima: the Argentinian-born royal became Dutch in 2001. In the early years after joining the House of Orange, her ability to speak the language charmed the Dutch public. But when she used those language skills to express an opinion in 2007, Dutch folks were less impressed. The then-princess alienated some in the Netherlands when she said, ‘The Netherlands is too multifaceted to summarise in a single cliché’. It was an assertion that seems perfectly logical coming from the lips of a dual citizen: she also stated that there is no such thing as ‘the’ typical Argentinian. But eleven years on, it remains one of the most memorable and controversial statements the now-queen has ever made. Maxima acknowledged that of course there are traditions that define Dutch culture, but her point was that the Netherlands contains multitudes, and has for centuries. 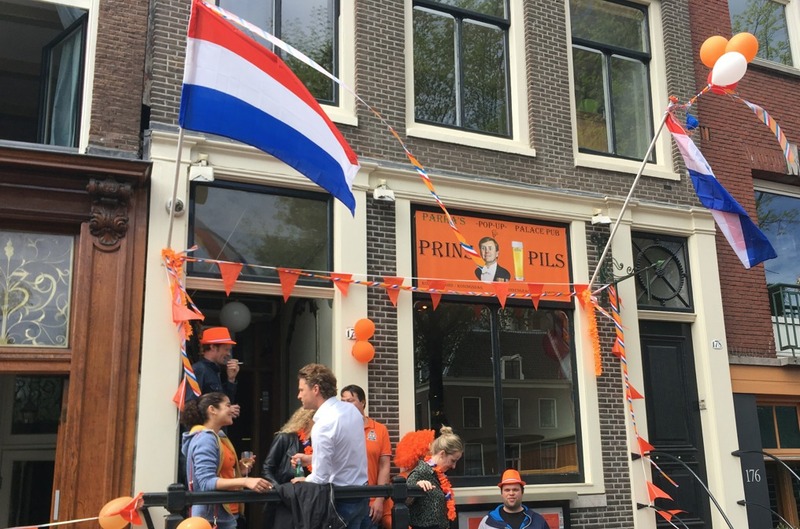 In her remarks, the queen went on to cite hospitality and warmth as typically Dutch traits, but the two characteristics that the Dutch are arguably best known for are tolerance and candour. Both bely a deeply fair and brutally honest character, which the Dutch pride themselves on. But as many minority Dutch citizens and immigrants have discovered, tolerance can feel more like you are being put up with than being truly accepted. The candid, sardonic sense of humour that so many Dutch people seem to possess can feel downright cruel when you are on the receiving end, precisely because it is brushed off as simply joking. Thomas Sykes, an African-American man, was prompted to write the book after he was racially profiled in Groningen. He was walking down the Gedempte Zuiderdiep, the same street where the barbershop he owns is located, fancy bike in hand, when two police officers started questioning him about where he got it. ‘We don’t see a guy like you with a bike like this,’ they told him. The incident moved Sykes to join forces with Iris Engelsman and write about similar experiences that people from other minority groups in the city have had. Rodaan Al Galidi, an Iraqi-Dutch novelist, won the EU prize for literature for his 2009 book, ‘The Autist and the Carrier Pigeon’. In early June, he was pulled over by police in Zwolle because the cops suspected he had stolen his own bike. ‘Is this your bike? Why does it have a different lock? Where did you buy it? How much did you pay for it? How long have you had it? Why do the wheels have different numbers? Where does the man that you bought it from live? How do you know him? Does he sell bikes to other people? Can I see your I.D.? ‘Do you spell it “A L” or “A I”? What is your telephone number? What is your address? You will be hearing from me.’ All of that, just because I went for a bike ride on a summer day after spending eight hours writing my latest novel…,’ he wrote on Facebook. In the Netherlands, Moroccan and Antillean-descended Dutch people are statistically likelier to be othered: they are suspected of committing crimes four times more frequently than so-called western migrants. Racial profiling is rooted in othering. Although it is not yet a recognised word in most dictionaries, Merriam Webster describes ‘othering’ as treating a person or culture as fundamentally different from another class of individuals, often by emphasising its apartness in traits that differ from one’s own. Othering seems antithetical to the tolerance that the Netherlands is known for and takes such pride in. Immigrants, and their descendants, whether they originally came here as refugees, knowledge migrants or something in between, may expect to be welcomed with open arms by the famously tolerant Dutch. But at times, it seems like the Dutch think that letting someone into the country at all is a grand enough gesture. Dario Fazzi, a researcher at the Roosevelt Institute for American Studies in Middelburg, says that tolerance is not the right thing to be striving toward in the first place. Fazzi is Italian and has been working in the Netherlands for the past six years. He cites an essay written by the former American first lady Eleanor Roosevelt in the 1940s called ‘Tolerance is an ugly word‘. Fazzi says that tolerance does not necessarily come from the kindness of one’s heart: there has been a mutually beneficial element to historic Dutch tolerance. The Dutch have traditionally let in people whom they felt had something to add, be it invited guest labourers from Morocco and Turkey in the 20th century or Sephardic Jewish people from Portugal who fled the Spanish Inquisition in the 15th century and were seen as an economic asset in the Netherlands. Setting aside whether it should be a bare minimum or a goal, the question remains: is tolerance actually a defining trait of the Netherlands nowadays? Linda de Jong, an associate lecturer and process coordinator at NHL-Stenden University in Leeuwarden who is half Irish and half Dutch, says that she is not so sure. Melissa Weiner, an associate professor of sociology at College of the Holy Cross in Massachusetts, argues that an Irish-Dutch woman, an Italian man or even an American woman like herself who speaks admittedly flawed Dutch are likelier to be accepted as part of Dutch society than a person of colour from one of the former Dutch colonies. Weiner says that having family that has lived in the Netherlands for generations and a Dutch passport are still no guarantee of actually being considered Dutch. Weiner and Antonio Carmona Báez are the co-editors of ‘Smash the Pillars: Decoloniality and the Imaginary of Color in the Dutch Kingdom. The book, which was published on 15 June, revisits the former Dutch pillar system, which divided Dutch society – from television channels to labour unions – along religious lines well into the 20th century. Halleh Ghorashi, an anthropologist at the Vrije Universiteit in Amsterdam, is also a contributor to ‘Smash the Pillars’. Ghorashi was born and raised in Iran, but she has lived and worked in the Netherlands for decades. Although much governmental policy emphasises learning Dutch and finding work as the best means for immigrants to integrate, Ghorashi’s research has found that it is not that simple. In fact, language inclusion can actually work against integration. Being able to understand Dutch means knowing exactly what kind of sweeping generalisations are being made about foreigners, be it in overheard conversations on the train, in the media or during political campaigns. While Dutch fluency inarguably improves your employability, Ghorashi has carried out multiple studies which found that working in a job surrounded by Dutch colleagues can ultimately leave people feeling more left out. Being exposed to Dutch co-workers casually throwing around stereotypes about foreigners, joking or not, can make someone with a migrant background feel more isolated than accepted. Ghorashi says that exclusion is by no means limited to first generation immigrants. In a recent article in De Groene Amsterdammer, she pointed out that Dutch people with foreign – especially Muslim – sounding names were less likely to get invited for job interviews, less likely to get an apartment and more likely to be advised to seek a lower level of education than they are actually capable of. Teachers often recommend that students from a migrant background pursue a lower level of secondary school because their parents, many of whom were guest labourers from the post-war period, are not highly educated. Being underestimated instils a lower sense of self-worth in those students, who in turn end up being proportionally under-represented at universities. Another contributing factor is the inconsistency in how students are taught about Dutch history. The Dutch Golden Age overlapped with much of the Netherlands’ imperial colonising and enslavement, but Weiner says that only two Dutch text books make that connection explicitly. Indonesia, Suriname, Curacao, New York City and even Brazil were once part of the Dutch empire, which only technically ended in the 20th century when Indonesia fought for its independence against brutal Dutch resistance. The riches obtained during that era are the origins of modern Dutch wealth. For Urwin Vyent, the interim director of the Dutch National Institute for the Study of Dutch Slavery and its Legacy, the only way to achieve a more accepting and equal future is by being honest about the inequality of the past. 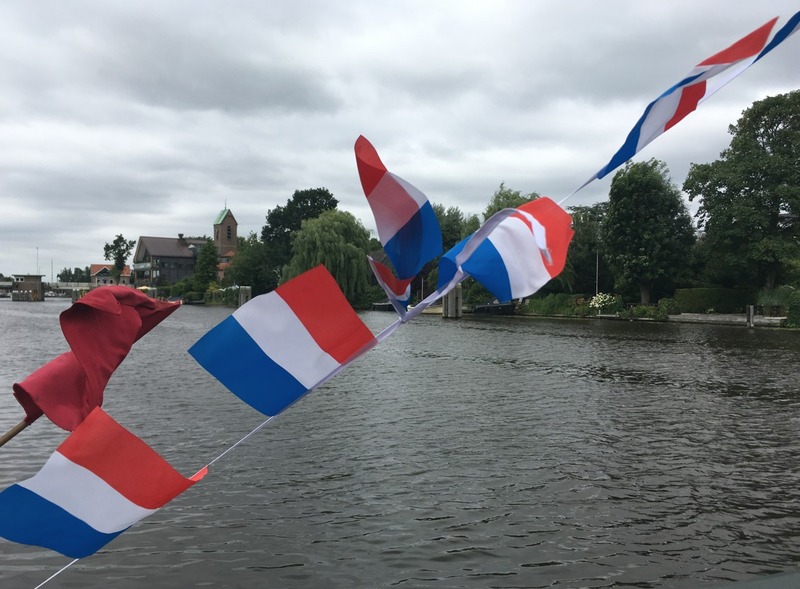 NiNsee organises an annual Remembrance Day in Amsterdam for Keti Koti, the day that slavery officially ended in Suriname, on 1 July. Keti Koti means ‘the chain is broken’ in Sranan Tongo, which is spoken in Suriname. 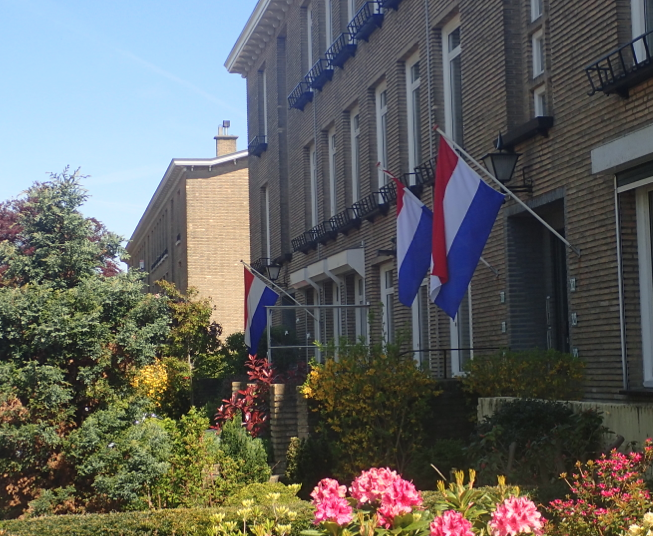 NiNsee wants the Dutch government to grant this holiday the same status as other remembrance ceremonies, like those in recognition of the Second World War. While NiNsee is focused on the Dutch history of slavery, Dutch society will also have to be honest with itself about the legacy of colonialism in order for everyone who lives in the Netherlands to ever be seen as Dutch. Traci White is a journalist with The Northern Times. This article was first published on The Northern Times website.